According to Korean tech portal DDaily, Samsung's ChatON instant messaging service will soon get video calls. Reportedly, the feature will work over both Wi-Fi and 3G/4G internet connections, just like FaceTime on iOS 6. It is expected for the Android version of the client to get video calls first, although seeing the functionality making its way to clients for other platforms is quite likely. 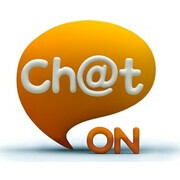 ChatON was introduced by Samsung less than a year ago as an alternative to Apple's iMessage and RIM's BBM. Besides exchanging instant messages with other ChatON users, it allows group chats, file transfer, and other neat stuff one might expect from such a service. In addition to Android devices, ChatON can be used on iOS, bada, Windows Phone, as well as BlackBerry smartphones. Keep in mind that this is all unofficial information, so treat it as such and don't get too excited until Samsung confirms it. We don't have any word as to when video chats might arrive on ChatON, yet the service's first birthday seems like a perfect opportunity to launch the new feature. That's like asking when Chrome will be on Windows 3.1.
you`re wrong . Samsung just released the Windows Mobile 6.5 version for ChatON (only for omnia 2 `s user), even though WinMo was already dead, while Symbian is still alive , Nokia 808 41mp is getting very big popularity now but maybe you dont know because you live in cave. Next time dont post when you lack of knowledge. Symbian isn't on any Samsung phones, is it? No? Probably isn't coming. Probably got the feeling Sammy isn't going to promote a Nokia device with it's service. The insults at the end of your posts are childish and uncalled for. Downloaded it on my Focus S, and haven't really started taking advantage of it. Maybe it is time to play around with it.